June | 2008 | Oscars in Order With Recipes! There are some movies you watch about drinking that make you feel like *you’ve* been drinking (The Lost Weekend, Barfly) even when you haven’t. Watching that Oliver Stone movie The Doors always makes me feel a little bit like I’ve been doing drugs. Even though I would *never* do that. (Anymore.) Kramer Vs. Kramer made me feel like I needed to get a divorce. Because they make divorce look so pretty: If I played my cards right, I could abandon my children, jeopardize my husband’s career, and find myself a better job that pays more than the ex-hubby makes. And then get my kids back, or not. That would be totally up to me. Truth be told, I just don’t know if I could sacrifice my Amex or Bloomingdale’s credit cards like Joanna Kramer did though. Sigh, I might as well stay married. You’re safe this time, Jim. We’ve reached another milestone. Kramer Vs. Kramer is, as of 2008, the sixteenth and, so far, final movie set in New York City to win the best picture award (mostly–NYC has a brief cameo in Terms of Endearment and a bit part in Forrest Gump). Wow. It’s pretty amazing when you think that the Academy was averaging about three New York pictures per decade. But if they we’re going to stop giving out best picture awards to New York movies maybe they should have let Annie Hall be the coda. Because Kramer Vs. Kramer is not that great of a movie. And it certainly doesn’t hold up very well. At all. It is the quintessential “me decade” movie. In 1979 Apocalypse Now wasn’t considered the masterpiece it is now so in my head I know the best picture should have gone there . But my heart says it should have gone to Bob Fosse’s brilliant and dazzling All That Jazz. Roy Scheider was robbed too. For dinner we traveled back to The Silver Palate cookbook for some recipes. The Silver Palate store and subsequent cookbook were around the same time as Kramer Vs. Kramer. And it’s very yuppified, just like the Kramer’s. But it’s a great cookbook. Especially if you love pesto. And I do. Even though we didn’t have pesto. But we had basil. Bring a large pot of salted water to boil, drop in the shrimp and scallops, cook for one minute, and drain immediately. Bring another large pot of salted water to boil. Cook the pasta as directed on the package, until tender but not mushy. Drain. Toss the cooked pasta and seafood in a large bowl (make sure they are both well drained). Add the peas, red pepper, and onion, and toss. Place dressing ingredients (olive oil, basil leaves, lemon juice, salt, and pepper) in a food processor bowl fitted with a metal blade. 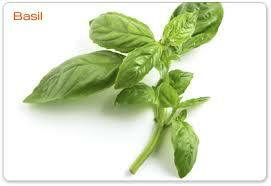 Process until basil is very fine. Pour over the pasta/seafood mixture and mix well. Taste and add salt, pepper, and/or lemon juice as necessary. Place the salad in a serving bowl or mound it on a platter. Scatter with greek olives. Serve immediately, or cover and refrigerate. Salad tastes better when at room temperature, so if refrigerating until later, be sure to take it out of the fridge for 30 minutes before serving. For dessert we had chocolate chip ice cream. Just like Billy Kramer did. Only we didn’t get into trouble. The Deer Hunter was 1978’s choice as best picture. Lean year, that 1978. The Deer Hunter is full of some great performances–With his soul burning intensity, Robert DeNiro holds this movie together. The Deer Hunter has some great young performances: Christopher Walken–who won best supporting actor for this movie was only 25 when Deer Hunter came out–look for him dancing during the wedding scenes, he’s a great dancer. Also, John Savage, who plays another naive going to Viet Nam soldier in one of my favorites, 1979’s Hair–. Meryl Streep in a somewhat thankless role, looks gorgeous and impossibly young. I can’t believe she’s been around for thirty years and is still going strong. But, The Deer Hunter is a flawed epic. Brutal and, at times, horrific. And at other times, jingoistic. It’s also a good example of, what I call, a pillow movie. What is a pillow movie? It’s as simple as it sounds: as soon as the action gets to be too much for me (I hate violence) I put a pillow over my face. Just when did the pillow go over my face during theThe Deer Hunter ? Umm, Viet Nam. While I loved all of the beautifully simple Pennsylvania scenes (let’s drink, get married, goof around, hunt deer, live life) I pretty much missed a good 92% of the Viet Nam scenes. (Hey, what happened to Christopher Walken? I missed it) . But Deer Hunter was, also, reluctantly, the best of the bunch. Some of the other movies from 1978: An Unmarried Woman, Coming Home, Interiors, Grease, Midnight Express. They all seem so dated to me. One of the saddest real life stories from The Deer Hunter concerns that actor who played Stanley, John Cazale (you might remember him as Fredo from The Godfather and The Godfather Part II). When cast for this movie John Cazale was diagnosed with bone cancer. Deer Hunter‘s director, Michael Cimino filmed Cazale’s scenes first–but when the studio found out about the cancer, they wanted John removed from the movie–Cimino said no. And Meryl Streep (whom he was engaged to at the time) threatened to quit. John Cazale died five months after the movie’s completion. But, on a happier note, I read somewhere (I forget where) that the great “Can’t Take My Eyes Off of You” bar scene was one of the first influences that the inspired the people behind Broadway’s big hit The Jersey Boys. Way to go, Deer Hunter! For dinner we tried to dine, culinarially speaking, as close to Viet Nam as you could possibly get whilst still living in the Midwest. 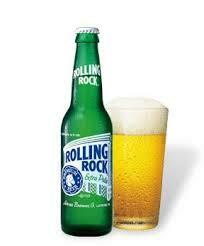 But our beverage of choice to wash down our feast was straight outta Pittsburgh: Michael’ s(DeNiro’s character) favorite beer, Rolling Rock. 1. Heat oven to 450 degrees. Put the sugar in an oven-proof casserole; add just enough water to wet it, about 1 tablespoon. Shake the pan to distribute the sugar and water; cook over medium heat, shaking the pan occasionally, until the sugar is golden brown and caramelized, about 5 minutes. 2. Carefully add the fish sauce to the caramel, watching for splatters; return the pan to heat. Add the shallots and garlic; cook, stirring, until softened, about 4 minutes. Add the chicken wings, turning to coat with the sauce. Stir in the ginger and pepper. Cook, stirring, until the chicken browns slightly, about 4 minutes. Cover; cook 7 minutes. Transfer to oven; cook until wings are a rich caramel color, about 45 minutes. Garnish with cilantro and additional pepper, if desired. Mix together the soy sauce, salt, cornstarch and 1 cup water. Set aside. Heat the oil over medium high heat. Add the garlic, lemongrass and chile and sauté until golden brown (1 minute) add the soy sauce mixture and bring to a boil. Remove from heat and set aside. Boil noodles until done, drain, set aside. Prepare an ice bath for the veggies. Boil broccoli & asparagus for two minutes, drain and shock them in the ice bath. When cold drain again. Heat 1 T oil in large sauce pan or wok add the chives and pepper flakes and sauté for about 30 seconds. Add peppers and carrots and sauté for about 1-2 minutes . Add the broccoli & asparagus, noodles, vegetable sauce, chili sauce and hoisin and cook until warmed through. Top with sesame seeds and serve. bring the milk, vanilla and half the cream to a simmer in a large sauce pan. Remove from heat. Make the caramel: put the sugar in a small sauce pan and add about 1 T walter. Shake the pan to distribute the water. Caramelize over medium high heat, shaking the pan. The sugar should turn brown and liquidy in about 5-7 minutes. At this point carefully pour into milk mixture. Then return to the heat, stirring until mixture returns to a steady simmer. Whisk the egg yolks and add about 1/2 cup of the coffee cream mixure. Return that mixture and cook over low heat, stirring constantly, about 10 minutes. Strain through a fine mesh sieve and cool the mixure in a refrigerator for several hours. Transfer to an ice cream machine and freeze accordingly. Amazing. You are currently browsing the Oscars in Order With Recipes! blog archives for June, 2008.